As we say good-bye to this past year, I offer up the top five photos from my The Ones I Like List of 2016. 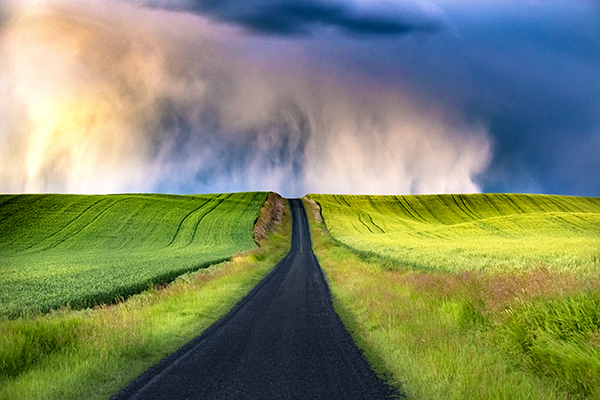 The Palouse on a stormy evening. After the Storm. I’m normally afraid of severe storms. Strike that, paralyzed by them. A tornado watch, not altogether uncommon in Houston, can render me useless for several hours. So when I happened upon a storm system while driving out of White Bird, Idaho and toward Pullman, Washington, I scurried as best as I could to get around it. And I did. For a spell. When I got to Lewiston, Idaho, however, I was once again greeted by a formidable storm formation off to my west and moving east. It appeared to be far enough in the distance that I felt comfortable heading to an overlook and snapping a few photos of the approaching storm. It was a doozy. I noticed the system was getting closer, so I traveled onward. I was less than an hour away from Pullman. 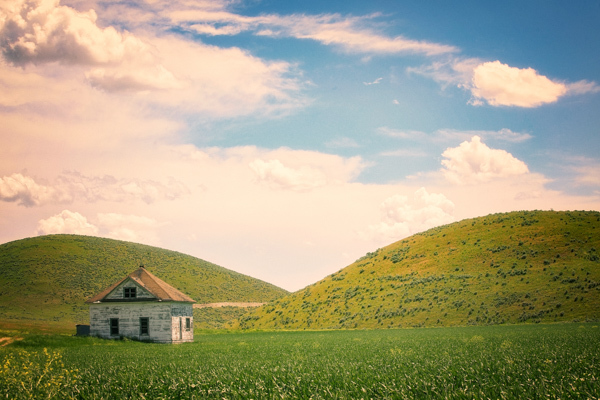 The road between Lewiston and Pullman is a photographer’s dream, with everything from barns to horses to abandoned grain elevators. It was when I was shooting one of those barns that the storm passed over me, raining soft hail-like pellets on my car. This storm was definitely aggressive, but it was also swift, and before I knew it, it had moved on and left a couple of rainbows in its wake. It also left a dramatic sky for me to drool over, and that spectacular experience was my introduction to the Palouse. 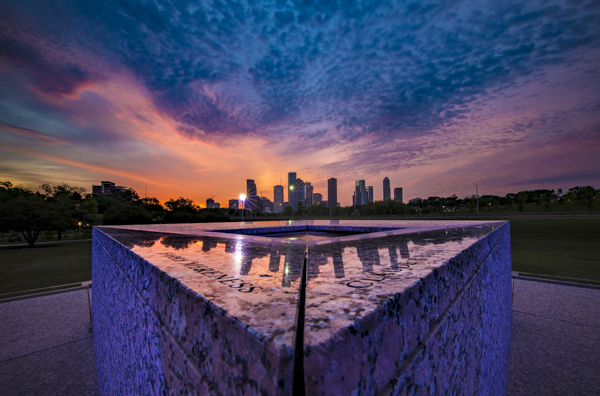 Houston Police Officers Memorial at dawn. Between Sunset and Sunrise. In my last blog post, I spoke of my deliberate efforts in 2016 to start expanding my Houston-area portfolio. Of course, one can’t expand a Houston-area portfolio without taking photos of Houston itself. The problem was that I had shot many of the locations before for magazines, and I wasn’t sure I could do something materially different for my personal work. 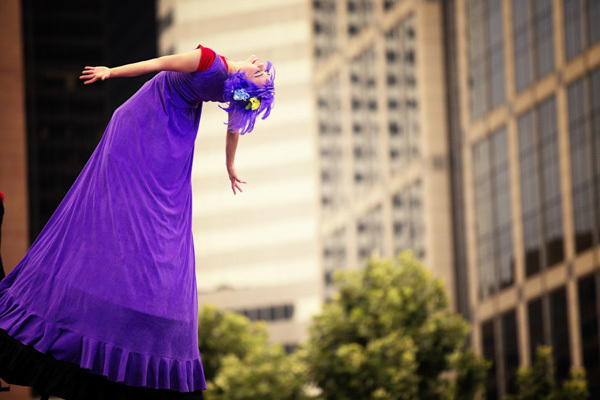 The challenge for me (by me, to me) was to stretch myself creatively. I’m very comfortable sitting in a certain space with regards to photography, and that space usually comes with a Canon 70-200mm/2.8 lens, a tighter perspective, and a shallow depth of field. For those who aren’t photographers, this simply means I like to stand a bit away from my subject matter, I like to focus in a bit (maybe on a tree or a deer, for example) and I like a dreamy, out-of-focus background (or foreground if my subject is farther away). For the majority of the photos I took of Houston this year, I really switched that up. I used wide-angle lenses, a tripod, a broader perspective and deep focus. I didn’t know if I’d enjoy it, quite honestly, but I did, a lot. There was something that felt powerful about changing it up, and I got excited about the newness of it all. So much so that I am now lusting over a certain Canon wide-angle lens, something I never thought would happen. This particular photo was taken at the Houston Police Officers Memorial, which sits between Buffalo Bayou and Memorial Drive near downtown. It’s a beautiful memorial by Jesus Bautista Moroles, and I’ve always wanted to photograph early in the morning with the skyline in the background. On this morning, the sky was amazing. And I stood there, appreciative. No qualifiers. Simply appreciative. Sundown on Main. When I first started out shooting, I used to walk up and down Main Street in Houston and take photos of this and that, whatever struck my fancy, really. I took that whole “walking up and down Main Street” thing again this year, and my how things have changed. First off, we have a growing skyline, so depending on where you shoot from, your background can be entirely different. 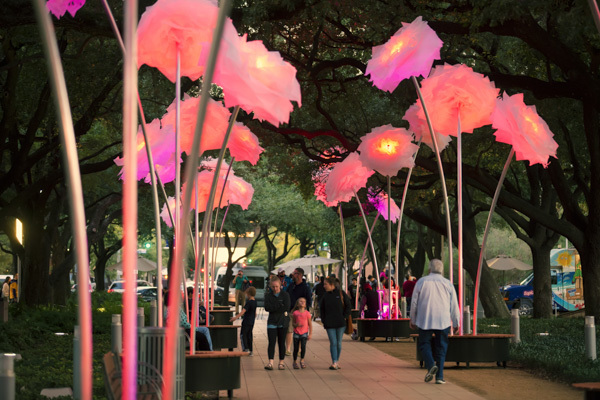 Then earlier this year, Art Blocks was established on Main Street, putting public art on grand display for all visitors, both locals and out-of-towners. The great thing about Art Blocks is that some of the public art pieces are permanent and others are temporary, so the feel remains familiar, yet exciting. One of the features of Art Blocks is the Main Street Marquee. A new work of art goes up on the marquee every three months or so. 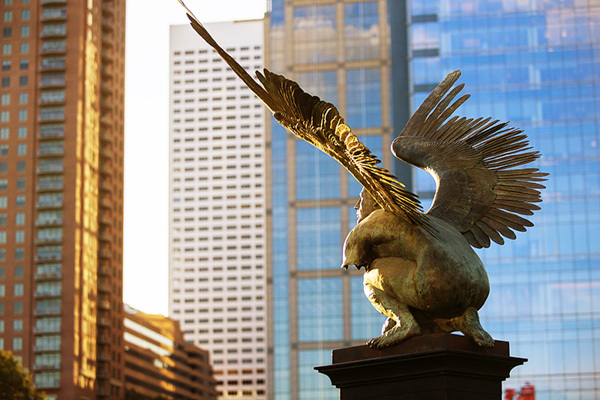 For the last three months, we’ve enjoyed City Bird of Houston, Armando Castelan. This photo captures the city, the METRO and that beautiful marquee. I have a lot of Main Street photos that I love, but this is definitely one of my favorite photos of the year, my favorite from that set. 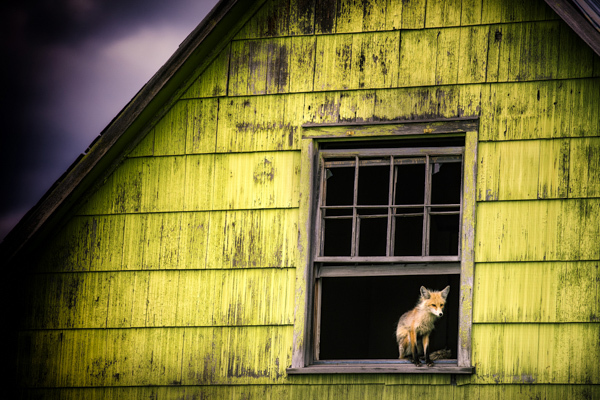 A cute red fox sits in the window of an abandoned home. Foxy window. Imagine this. I’m driving through Idaho. 50 MPH. There’s an abandoned house, side of the road. When passing it, I believe I see a sign or a doll or something of that ilk in the window. I circle back to photograph the weathered house. (It kind of appeared out of nowhere.) And when I got pulled up in front, that sign? That doll? That whatever I thought it was? Yeah, it was a fox. For the love of all things “yes,” it was a freaking red fox! There may have been a squeal. For that matter, there might still be squealing. It’s what we live for as photographers, random moments of sheer delight. That’s about the whole story here. But what more is really need, right? I mean, a fox…in a window. The magic of the Palouse. Let There Be Light. As we close out 2016, I recognize that the last 365 days have been enormously difficult ones for many friends, family members and people I’ve never met. I recognize this because I listen and I see, and because it’s been out there, like a strong wind beating, relentlessly, against the rickety shutters. Some people I know are dealing with unimaginable grief, others with formidable health challenges and still others with financial and personal instability. And when the dominoes start to fall, it can sometimes feel like there is a great power working against us. So we reach for understanding, for blame, for relief, something to keep us from swimming down, all while sounding the foghorn and praying, with unsteady confidence, that the ship not run aground. Those are the real obstacles in life, and we do need to find meaning in them, so we can be continue to function with intent…and joy. My wish for everyone who has felt weighted down by tragedy and circumstance in 2016, and I know many of you personally, is for you to have a 2017 that is light in spirit and that is decidedly better than your best expectations for it. I wish you and your loved ones good health, abundant joy and a smoother ride around the sun. With all of that said, I still want to dedicate this blog post to 2016. Thank you, 2016, for giving us time. It’s the greatest gift, along with love. In terms of the cultural icons, you gave us 10 days with Bowie, 112 days with Prince, 360 days with George Michael and 362 days with Carrie Fisher. Days no one is ever guaranteed, but you gave those to us. And even more than that, 2016, you gave us precious hours with those closest to us. Whether our parents or our children, our significant others or our best friends, our cats or our dogs – you gave us time to love and be loved, and for that, thank you. People got married in 2016, gave birth, took a family vacation for the first time. They got new jobs, moved into new homes, developed new passions. All of it. Thanks for the joys you provided to temper the discouragement and sadness. Thank you for bringing some light to the storm. 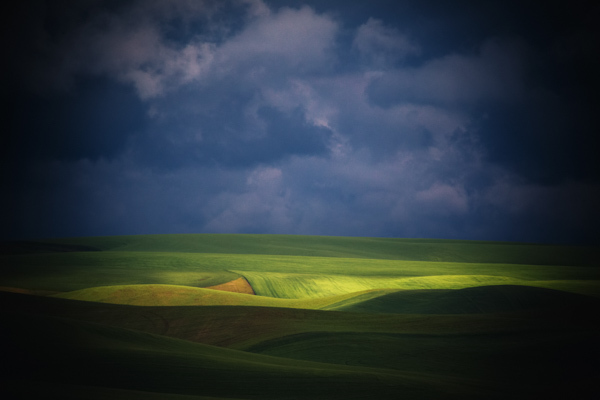 So that brings me to Let There Be Light, a photo that I took my last full day in the Palouse this past summer. It was a bone-chilling summer day, with temperatures in the 30’s and a cutting wind that sliced right through my short sleeved shirt. And like the evening of my arrival to the Palouse, the skies were threatening to unleash a little fury. It was on this cold day with those angry skies that I saw the most luminous landscape I think I’ve ever seen. The hills of the Palouse are velvety goodness in summer, so there’s already a magical quality to the area, but this particular landscape was a vision. Through a fairly solid coat of darkness, mood provided by the clouds, a bit sun came through and painted the land with light. The fox in the window a few days earlier was amazing, no doubt, but I felt this scene was more uplifting for me, profoundly so. It had been a very hard year up to that point, and when I saw those hills, all glorious and promising, it lightened my spirit. And I do think in some way, it changed the course of my year. Thank you for that illumination, 2016. Well, it’s that time of year – time for reflection, wisdom and a motivational kick-in-the-pants to spring you into 2017, creatively and otherwise. While I can’t promise you the most profound wisdom or the most effective kick-in-the-pants, I can offer a solid look back at my photography — my top ten photos of 2016. We’ll start with numbers six through ten today and do the rest over the next two days. Join me! Pleasure Pier at sunset. 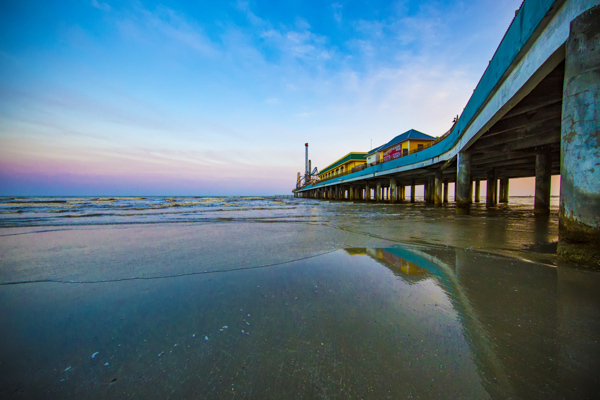 Galveston, Texas. Pleasure Pier at Sunset. My favorite lyrics from the musical Hair come from the song “Easy to Be Hard.” I know what you are thinking, but stay with me. Powerful lyrics, yes, but you might wonder, “what on earth do those lyrics have to do with your photography, Katya…or with Galveston?” Well, those are good questions. I promise, it really all does come together. In my mind, at least. This past spring I realized that in all my efforts over the past eight years or so to photograph the greater themes of fog, foliage and vacation spots far from home, I had neglected to focus on my very own neighborhood – the Greater Houston/Galveston area. Because I was always wanting to “get away” through my photography – to San Francisco, Paris, sleepy towns and enchanted forests – I forgot about my closest “friend,” home. This year I set out to right that wrong. While I still cared about photographing those places afar I’ve yet to visit, I made sure I gave some love to places right here, those close to my heart – Main Street, the Strand, the developing banks of Buffalo Bayou and the street murals livening up our urban landscape. It’s something I plan to continue going forward. I’m really excited about it, and I hope you will be as well. 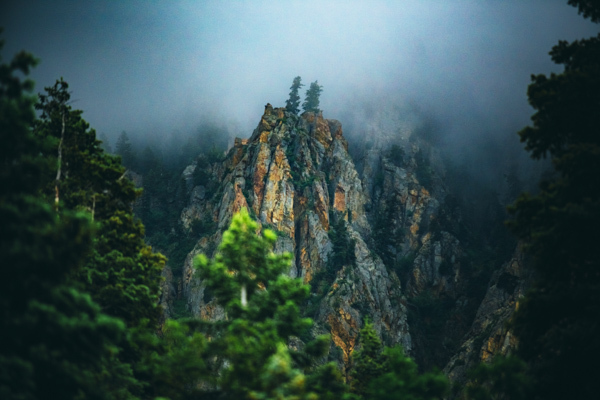 The Wasatch Mountains on a beautifully rainy, misty afternoon. Wasatch, No 2. It’s amazing how beautiful a photo taken out of the passenger window of a moving car can be. I know, I know. As a professional photographer, I’m committing a cardinal sin, much like a magician who gives away the “family” secrets. Ideally, I’m supposed to further the myth that every photo we take as a professional is a well-thought-out nugget of planning. As someone who struggled, however, to learn things through trial and error, I wish I had known how really easy photography was from the very beginning. Instead I was mostly told about artificial light sources, expensive equipment and mathematical equations that still don’t make any sense to me. But consider me your favorite myth-buster, photography novices. Good photography is about taking photos, which means having your camera at the ready. It’s about seeing things that resonate with you and taking a shot, both literally and figuratively. Take that shot, my friends. Take a shot at doing something novel, something that will expand your range, something that will tell your story…something that makes you feel good. Take a shot without giving second thought to what the “right thing to do” is. And remember…it’s amazing how beautiful a photo taken out of the passenger window of a moving car can be. 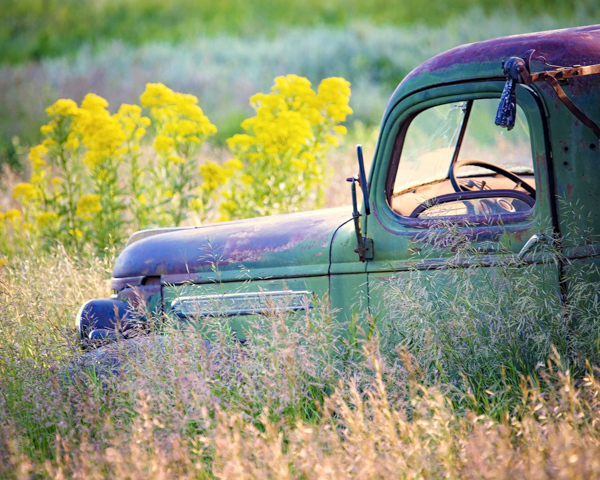 A vintage General Motors Truck in the Palouse. Vintage General Motors Truck. Back when I was just starting out with photography, and before I even had the faintest knowledge it would eventually become my profession, I took a photo of a vintage red truck, located in the woods near Brazos Bend State Park. I called it the Fiery Red Love Machine. It may have started my love affair with taking photos of old vehicles, those seemingly “left behind” to integrate with nature. I see this phenomena as a form of public art, and it’s on grand display throughout the Palouse region of Eastern Washington. That’s where I found this beauty. It may not be a fiery red love machine, but it’s got stories to tell. No doubt about it. Springtime Bluebonnets and Wildflowers in the Hill Country. Hill Country Color. Is there anything lovelier than springtime in Texas? I might be biased, but I think the bluebonnets and Indian paintbrush that line the roads of the Texas Hill Country are some of the most beautiful natural color displays this side of the Mississippi. 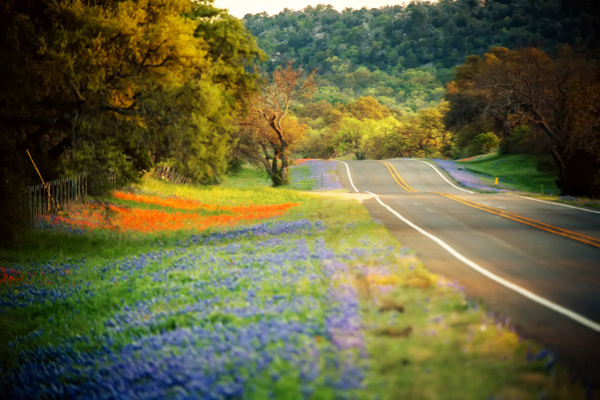 Whether you enjoy Brenham, Fredericksburg, Ennis or Austin, if it’s spring and you’re a Texan, you’ve got a bluebonnets on your mind and a roadtrip on the calendar. And if you are new to Texas, let me get you started by the pointing you in the direction of Texas Bluebonnet Sightings on Facebook. That’s where I’ve been going the past few years to determine both the travel location and schedule for my springtime photography. Priceless information from both the Facebook page’s owner, PerriAngela Wickham, and from the many visitors who share their sightings in comments and such. Just pick a spot in bloom, put some gas in the car and go. It’s one of the great joys of living in the state. Rural Utah in all its charm. Dream On. Utah is a gorgeous state. It gives us the red rocks of Snow Canyon, the Narrows of Zion, the Wasatch Mountains of Salt Lake and the rural hills of the state’s northwest corner. This photo was taken in those rural hills, hills of striking color and picturesque shape. There’s something about the slightly surreal charm of this scene that appeals to me. And neither here nor there, but there was a herd of sheep just down the road. I mean, this is someone’s very real and very rich life. Mull that over next time you are sitting in 5 p.m. rush hour. I know I do. So that’s it for today, friends. Join me tomorrow for more of the countdown. Cheers! So I’ve been a Houston sports fan for as long as I can remember. Over the years, I’ve been dedicated to “Love Ya Blue,” “Breathing Orange Fire” and never underestimating the “Heart of a Champion.” Photography? I fell in love with it almost twelve years ago, and it’s been my soul’s Yoda ever since. 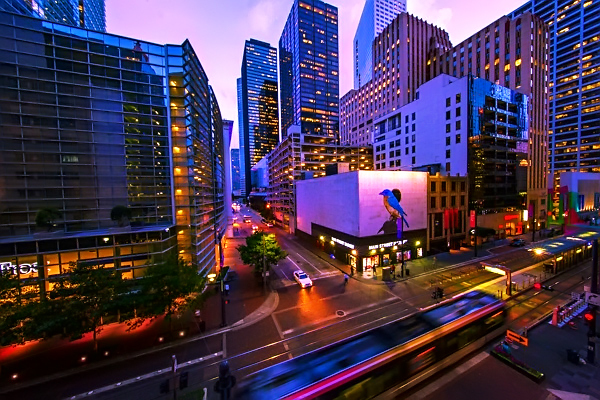 Recently, those two aspects of my life – the love of sports and the love of photography – collided in spectacular fashion when I licensed one of my Discovery Green photos for use on METRO buses and trains to promote Super Bowl 51. Coming to METRO buses and trains near you. 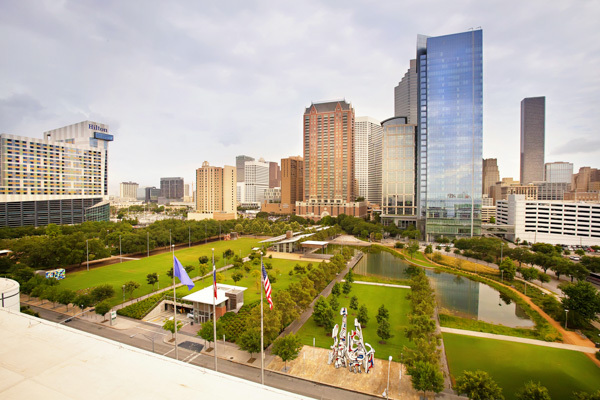 So to mark this cool occasion, I want to give some love to Discovery Green, who for seven years now, I’ve been lucky enough to call a client. And while I do take each shoot seriously, the word “client” almost seems too formal to me. 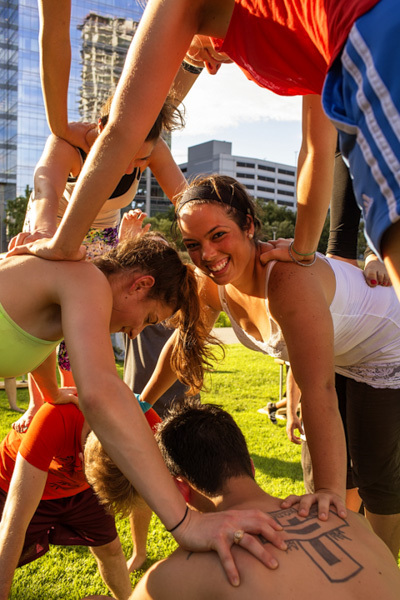 When I’m at the park, the Discovery Green staff makes me feel like part of their family. 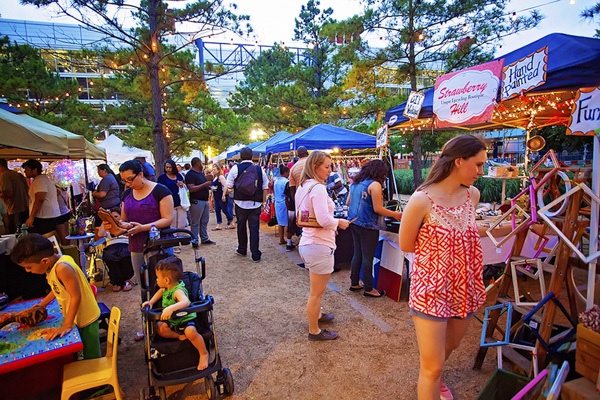 And, honestly, isn’t that what Discovery Green is all about? Family? 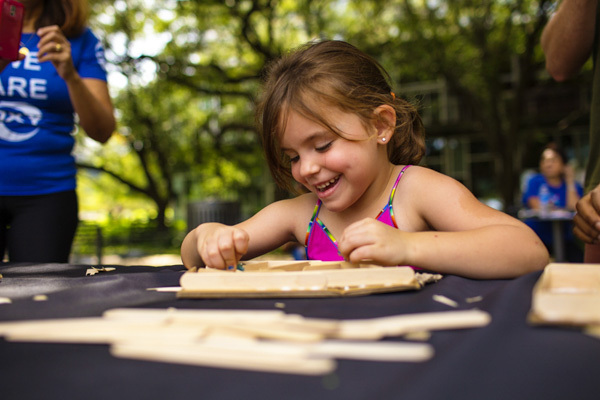 Whether your family consists of the traditional mom, dad and two kids, or it consists of you and your partner, whether your family is your best group of girlfriends…or, maybe it’s simply you and your favorite pup — whatever you define as your family, you are welcome at Discovery Green. When I got the email back in December 2009, the one inquiring whether I was available to shoot the “Administaff Holiday Balloon Ribbon Cutting” at the Discovery Green, I had only been to the park a handful of times. Not surprising at all, considering it had been a parking lot just a few years earlier. I was a bit nervous about taking the project, still feeling all the insecurities of being a newbie in my recently picked-up profession. Plus, former President George H.W. Bush and First Lady Barbara Bush were going to attend. So…a new client, a big event, a former president – yeah, no pressure there. Oh, and did I mention I have a fear of heights? No? Well, I do. But I accepted, and before I knew it, I was flying high. High above the park that would become a home away from home. 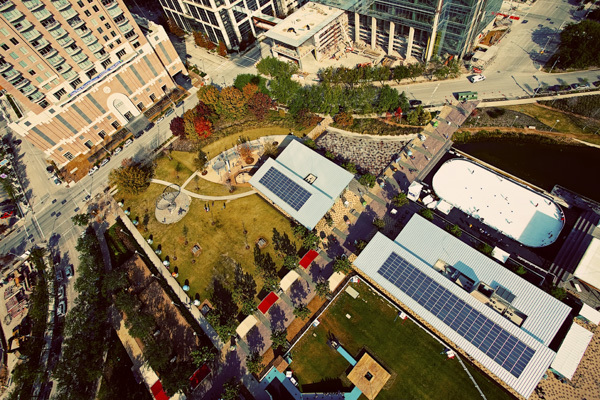 A bird’s-eye view of Discovery Green, 2009. 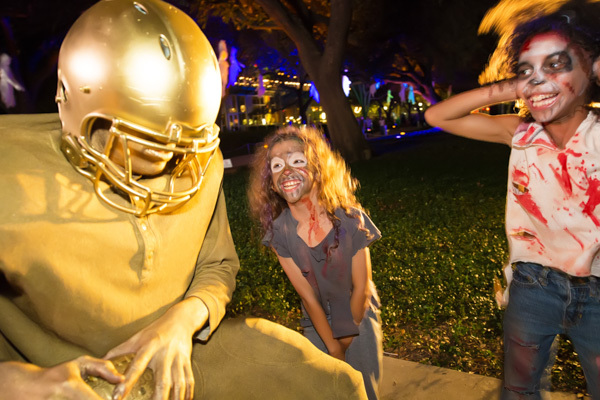 Since that wonderfully-fortuitous first shoot, I’ve photographed over 100 events for Discovery Green, everything from concerts to classes, Halloweens to happy hours. 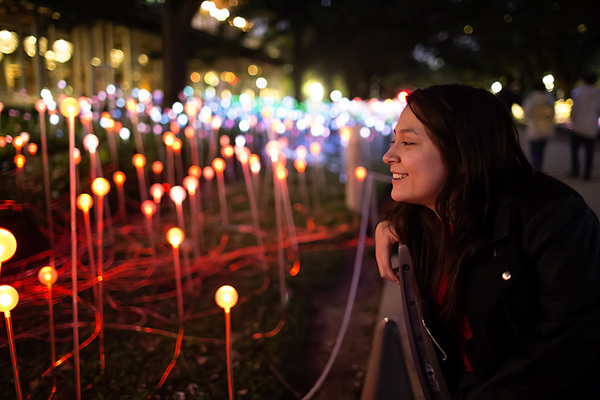 Then there have been all those temporary art installations, those aerial photos, and those smiles upon smiles upon smiles from joyful visitors. 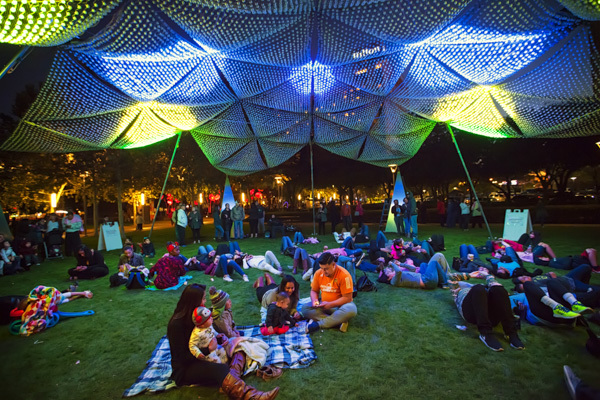 Regrettably, I can’t bring Discovery Green to you; you really should experience the park firsthand. 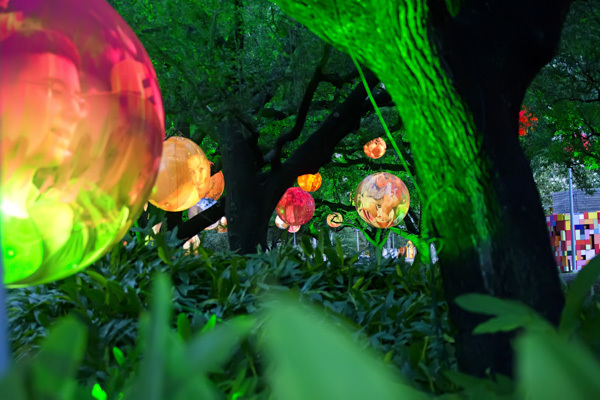 What I can do, however, is invite you to celebrate the magic of the park through my eyes. So with that, let us take a trip down memory lane via some of my favorite photos through the years. Did I hear someone say that there will be music at this party? 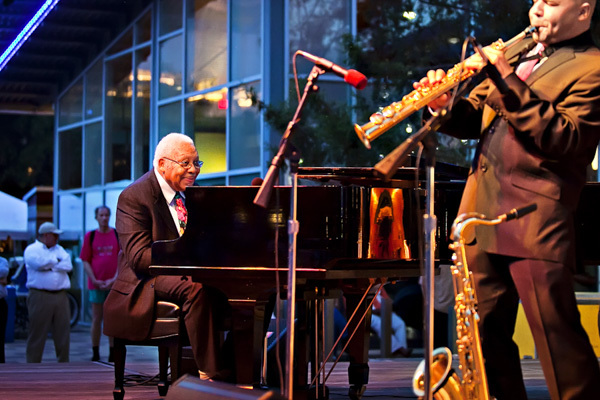 Ellis Marsalis Quartet. Ellis Marsalis, ya’ll! 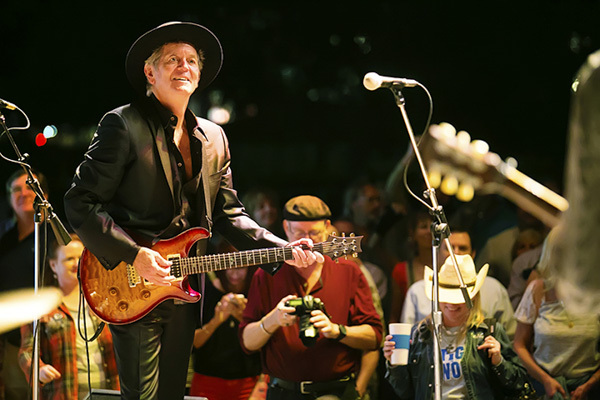 Rodney Crowell. 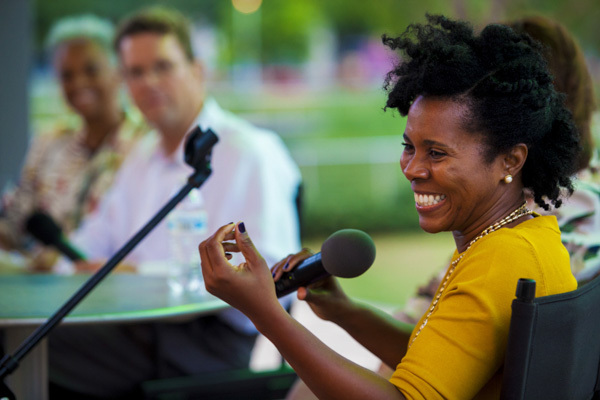 Because legends are at home at Discovery Green. 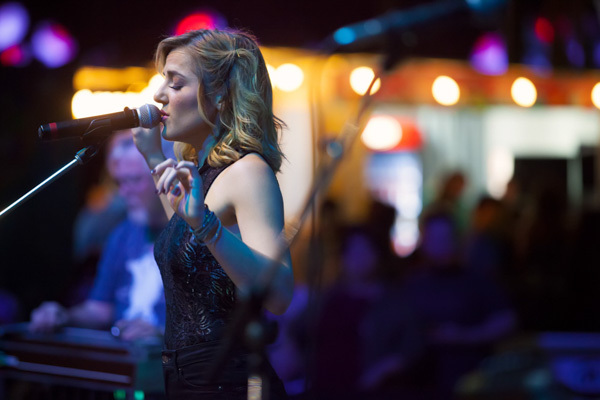 Mary Sarah of The Voice fame. If you haven’t heard of her, I reckon you will soon. 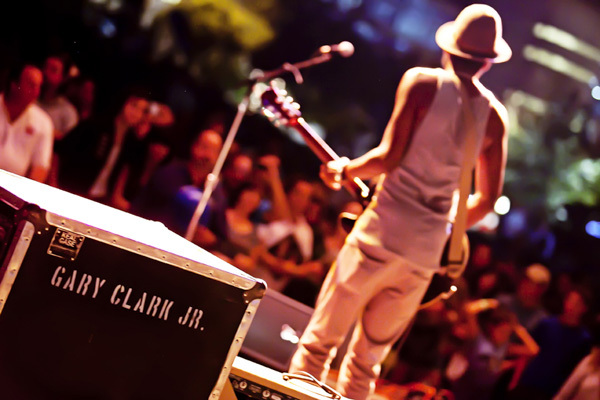 Gary Clark Jr., on the cusp of his breakout. One of the best shows I’ve ever seen. If you lose your desire to learn, you lose your will to live. 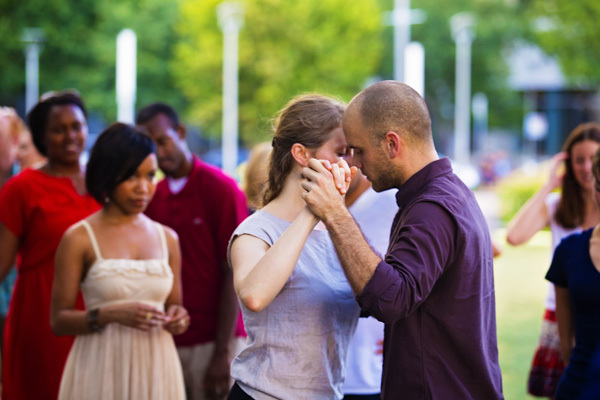 Tango lessons at the park. 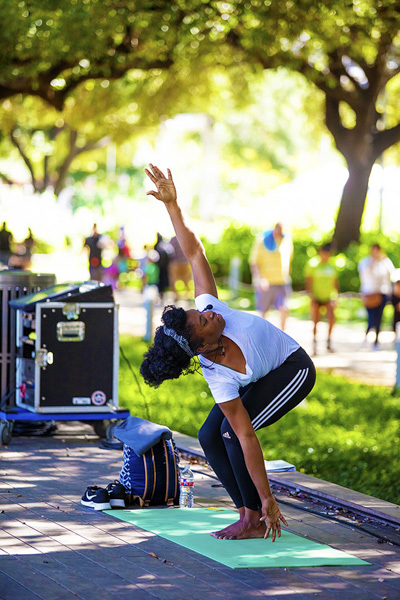 Who’s up for a Circus Arts class at the park? Give me a costume, Santa Claus and some ice skates, and I’m ready for the season! 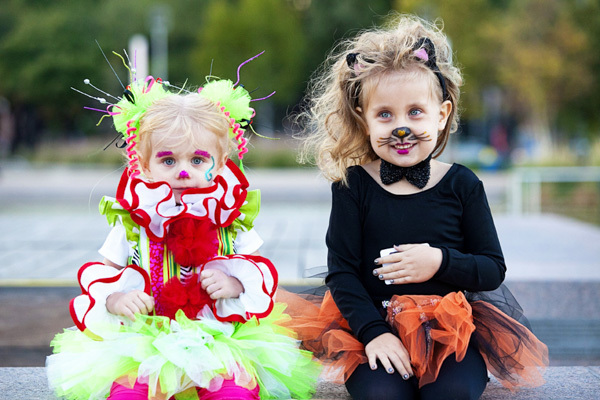 Two adorable girls, all dressed up for Halloween, enjoy Scream on the Green. The cutest butterfly in town! Wait? He moved! Two more cuties enjoying Scream on the Green. 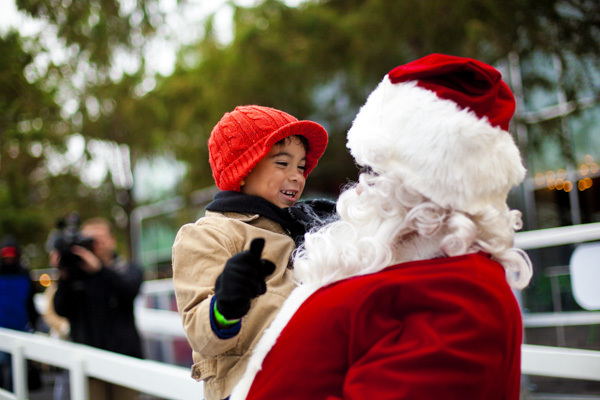 Santa is the best listener! And how cute is this? It’s one of my favorite favorites. 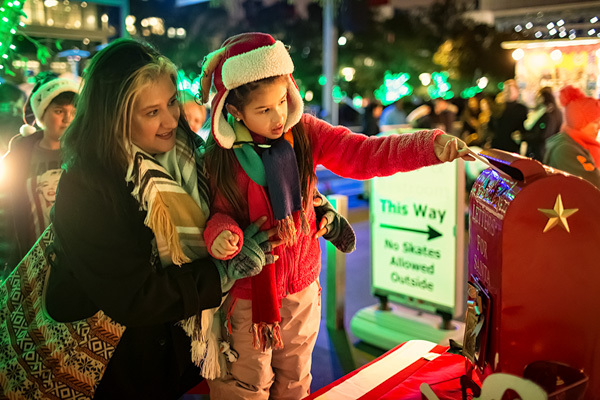 Letters to Santa are sure to arrive when sent from Discovery Green. 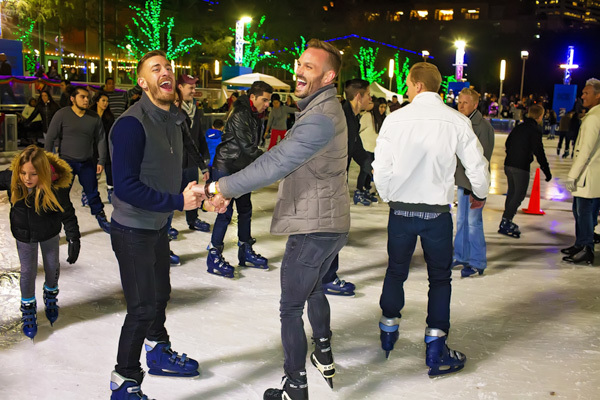 The ICE at Discovery Green. 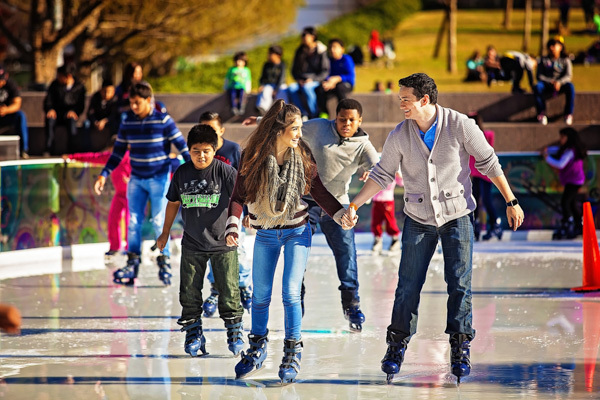 Lace up those skates and take a spin! 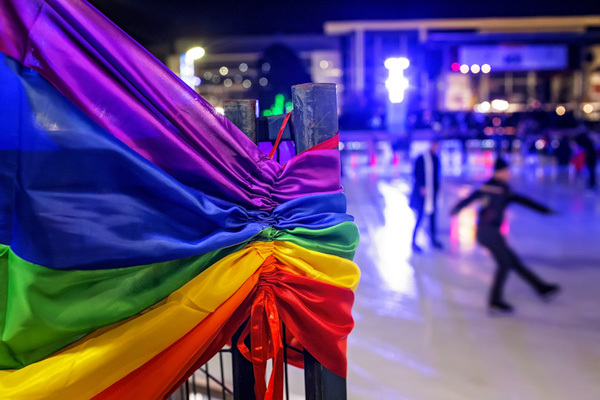 Rainbow on Ice is always a popular night at the park. I need culture in my life. Can someone point me in the direction of some performance art? I loved Barolosolo so much, I watched it twice! And then Maravilloso was magnificent, beguiling, sophisticated. Simply wow. Strange Fruit. 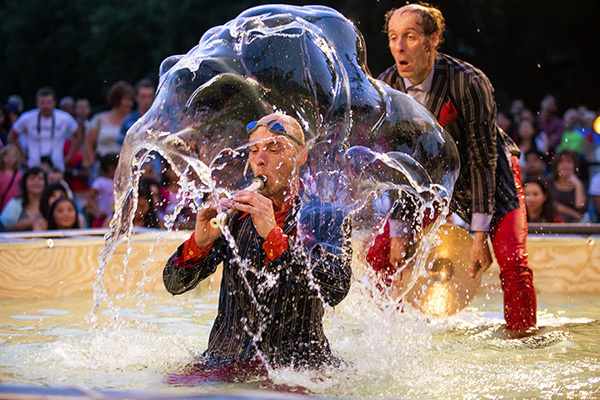 Performance art all the way from Australia. It was excellent, mate! 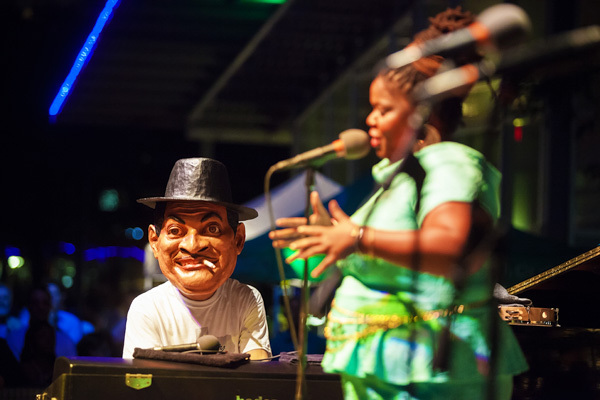 So you mean there’s more to this place than music, classes and culture? 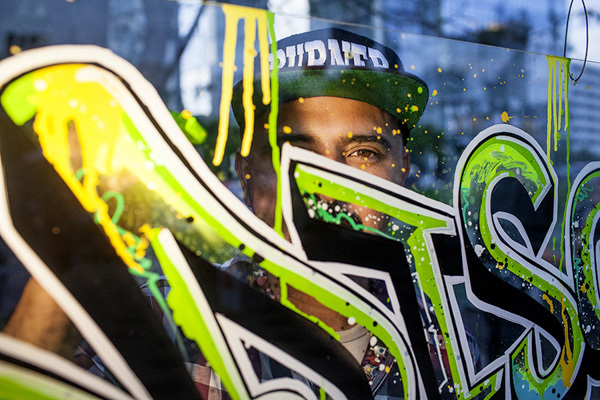 Yeah, yeah…all those artsy fartsy installations are for…wait, whoa! Sweet! 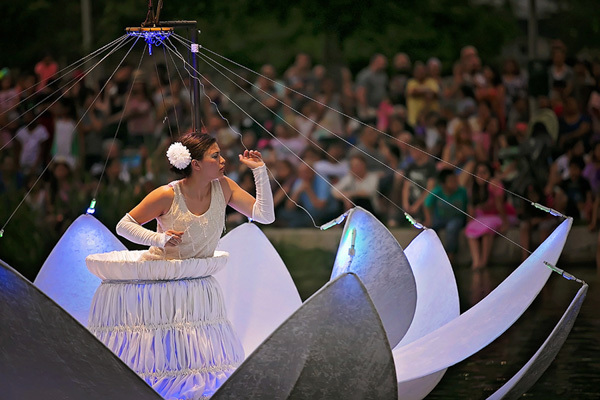 The park makes it easier to keep an eye on local art — and artists! 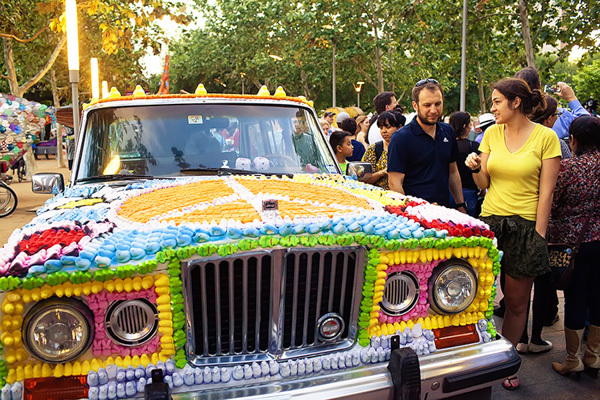 Art Car Preview. Yes, those are marshmallow Peeps. See what you’re missing. 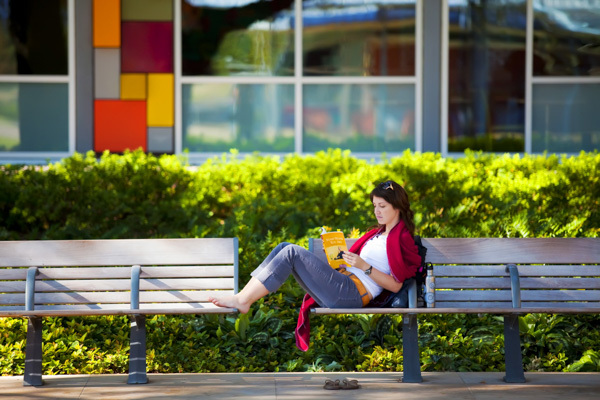 Reading on a beautiful day. A couple of horses, seen roadside, while driving between Houston and Dallas, Texas. Last year I took a three-week trip, by car, to the great state of Wisconsin — my birth state. The whole purpose of the trip was to gather as many autumnal photos as I could for my personal/decorative archives and, to a lesser extent, for the purpose of licensing. I had envisioned a trip with glorious weather, foggy mornings and fall foliage galore. I got the foliage, lots of it. And there were three foggy mornings, short in duration, but exhilarating for this fog-loving photographer. The weather, however, the weather was a tyrant. The first four days in Wisconsin brought tornadoes to the southern part of the state and lashing rain with thunderous booms to the central and western cities. For two days, I was pretty much holed up in my hotel — my cameras bored to tears. But, it started out gloriously, the road to Wisconsin. 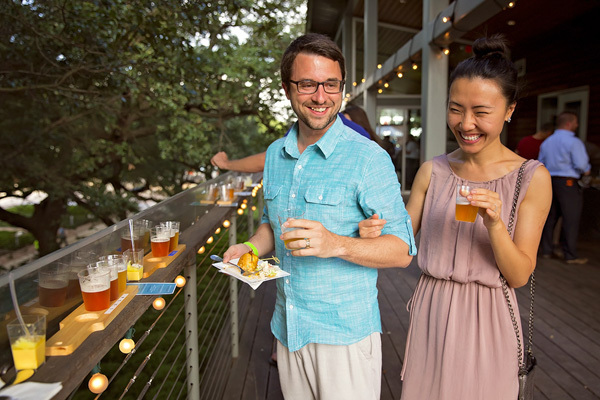 That long trek through the Lone Star State — Houston, Texas to Norman, Oklahoma — was buoyed by sunny skies, Foo Fighters music and that adrenaline one gets as they set off on a highly-anticipated road trip. 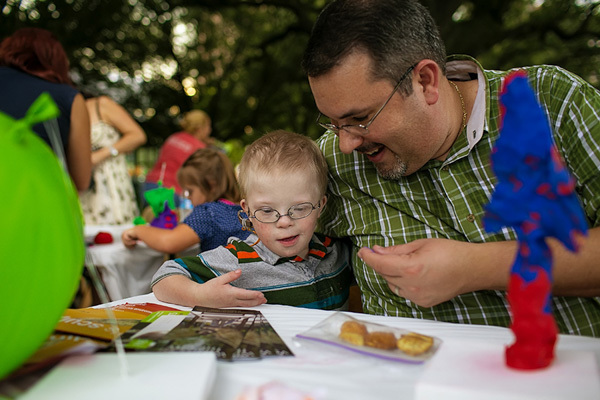 There were the usual stops and shout-outs — the giant Sam Houston statue near Huntsville, the Buc-ees pit-stop in Madisonville, the drive-in movie theater outside of Dallas. And then there were the feeder roads — the lone tree on a swath of otherwise barren land, the weathered, if not fully dilapidated, barn…and the horses. 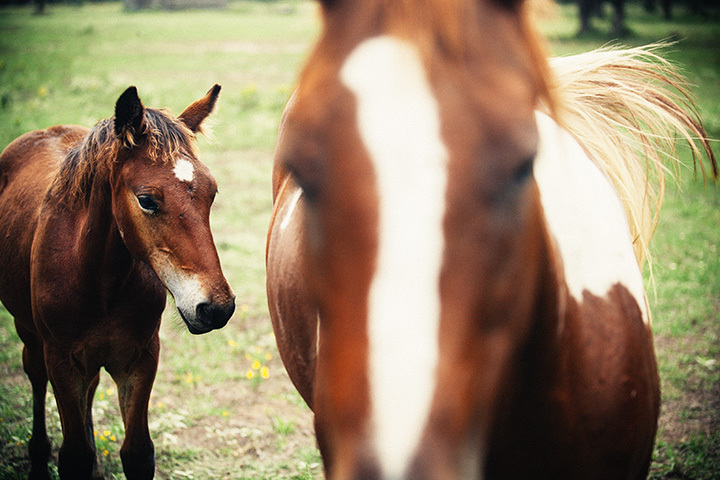 I met the horses in my photo, horses, somewhere between Madisonville and Dallas. There were a lot of them…running and playing in the sunshine. I pulled off I-45, doubled back on the feeder road, and stopped next to a fence surrounding the property to take some country-fied action shots. That only worked so long because before I could say “cheese,” a couple of them ran up to me — an adult and a youngster. The little one was curious, but not as brave as the adult. I dare say the horse was sheepish, if I may be so corny. So I took a few photos, trying to focus on that very character trait, took a few of the other horses, now grazing, and then I headed onward to Oklahoma! I’d only have one more fully sunny day ahead of me before the rains would make their stand. Technical Details: 70mm, 2.8f, 1/800sec, 640ISO. Canon products. Print and licensing options here. 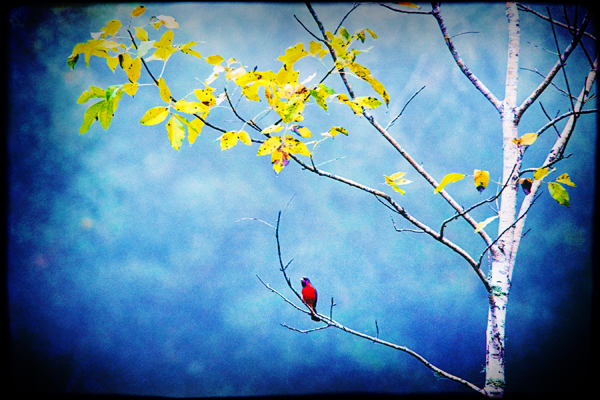 An American Cardinal perched on a branch underneath some fall foliage. A decorative, slightly textured image. I was simply photographing this tree in the fog when the cardinal appeared in my photo. It usually works the other way around; I stop to photograph a cardinal and it flies out of the shot. Luck in photography? Yes, please. If you’d like to license or purchase a print of this photo, you can do so here. 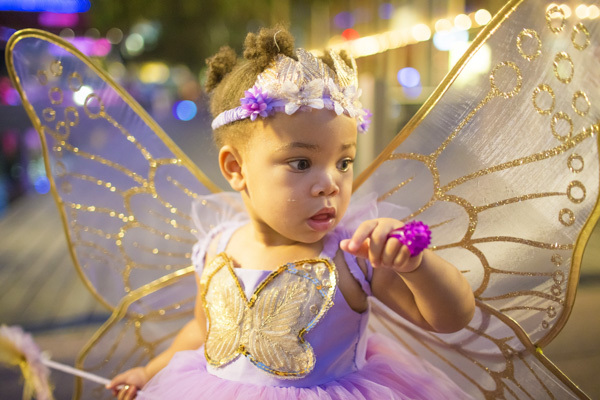 Katya Horner, better known as "Slight Clutter" in the photography community, is a professional freelance photographer based in Houston who is as comfortable with editorial and commercial work as she is with fine art photography. Her photos have been seen in over 50 print and online publications.